"Poetry is the blossom and the fragrance of all human knowledge, human thoughts, human passions, emotions, language." (Coleridge). According to Webster's Dictionary, poetry is defined as "writing that formulates a concentrated imaginative awareness of experience in language chosen and arranged to create a specific emotional response through meaning, sound, and rhythm." Is poetry the supreme expression of the noblest human emotions: of love and sympathy; of awareness of the infinite value of life; of the realizations of the eternal truth through the strokes of individual talents of creative genius? Yes poetry is all these together in a single volume of human brilliance! And a poet’s life is the extension of human consciousness into the eternal essence of life and sympathy! His soul belongs to the future as well as to the present of his own time with the cultural heritage of his predecessors. 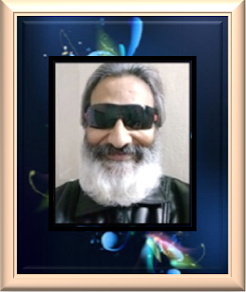 So a true poet lives not only in his contemporary time but also in the time future with his cultural heritage projecting the eternal essence of human sympathy and consciousness. Poetry is the literary work in which special intensity is given to the expression of feelings and ideas by the use of distinctive style and rhythm. Imagination is the ability of the mind to be creative or resourceful and can be active without worries, such as fearing something, for every word has its own meaning, detached from the actual word it’s described by. 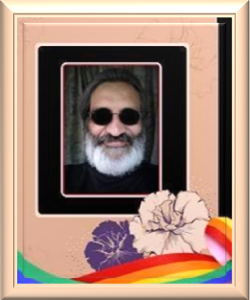 Poetry achieves different level of understandings by allowing us to really experience life through the emotions and experiences of others as poetry is a blend of imagination and truth; it is a diverse form of communication and there are vast arrays of elements that make up this very unique and specialized form of writing. Poetry is the art of apprehending and interpreting ideas by the faculty of imagination; the art of idealizing in thought and in expression. And the tradition of art and philosophy keeps our literature modern and alive in every age. We rediscover ourselves as an individual through our relation to this tradition. And the comparative re-evaluation of the eternal realizations shapes our individual genius as an artist or poet. Actually as an artist or poet or writer we have a legacy of our past which keeps alive in our present and becomes eternal in our future. This is the tradition of literary genius of which we are the torch bearer. That doesn’t necessarily mean that the individual talent only repeats itself in every age; on the contrary, individual talent illuminates the tradition in its unique personality and creative genius! The eternal expresses itself through this creative genius in every age. We in our limited capacity try to reflect this constant rediscovery of our individual talents in our relation to this literary tradition! There are many contradicting views about poetry and no one can agree on the essence of poetry. Some poets think that poetry is all about the rules and the rhythm that must be followed. While other poets suggest that the poetry is the expression of emotions and rules do not matter. The perfect mix to define poetry is somewhere in between. True poetry must express feeling and create an imaginary world in the readers mind along with creating perfect melody, unlike fiction it is solely based on the author’s personal take on a certain subject. The tone, diction, syntax, and mood of a poem are all determined by the author of the poem. So poetry is a compact language that expresses complex feelings. To understand the multiple meanings of a poem, readers must examine its words and phrasing from the perspectives of rhythm, sound, images, obvious meaning, and implied meaning. Readers then need to organize responses to the verse into a logical, point-by-point explanation. For some readers, to interpret a poem or explain the plot can be a difficult task. A reader may need to research where the author is from and what year the poem was written in, in order to get the full effect of the poem and the underlying meanings in it and before reaching a conclusion about the meaning of a poem, readers should summarize their personal responses. Are they emotionally moved or touched by the poem? Are they entertained or repulsed, terrified or stirred to agree? How has the poet made an impression? Do words and phrases stick in their memory? Yes, this is the most important aspect of poetry, to make an impact in reader’s mind, to reside into the reader’s soul. It is the magic of poetry which every poet wants to live with, to explore and to put an individual signature of brilliance into it. 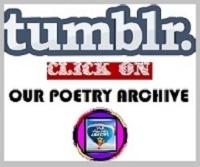 So we with our limited capacity wish to capture this entire phenomenon in this online monthly poetry journal and want to present our readers a flavour of contemporary poetical activity around the world. 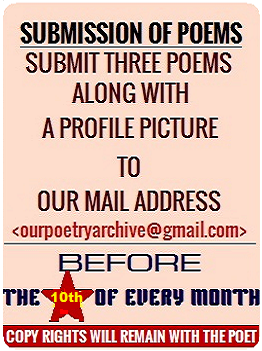 Our Poetry Archive, yes even in its limited capacity has successfully completed it’s third year with this present number. 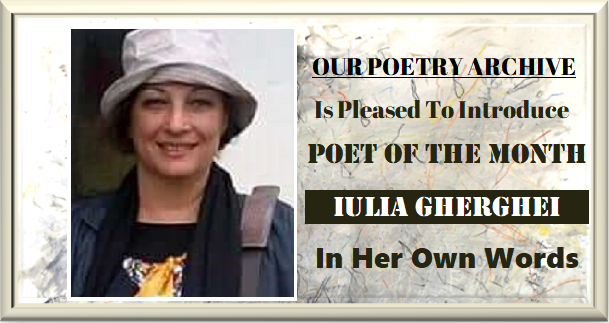 In this journey of three years we have discovered so many world class poets and poetess, who have made this online journal famous in the arena of online literature worldwide. 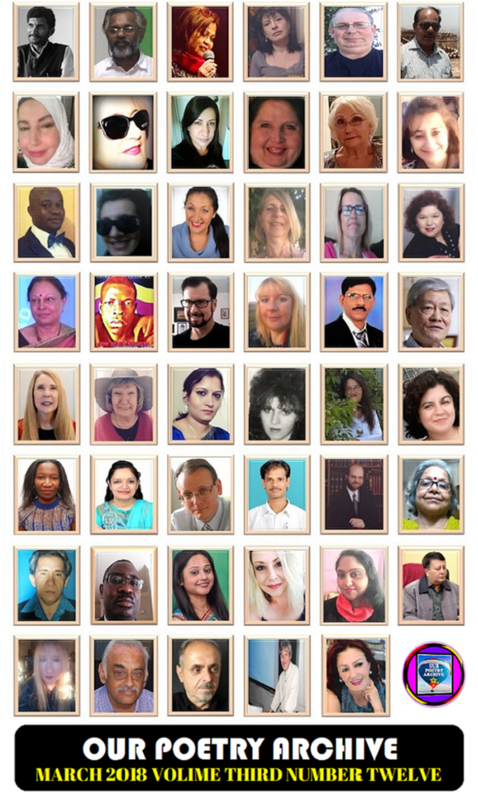 So we always remain extremely grateful to all of them who regularly participate in this world class poetry journal contributing with their individual literary talents. We from the editorial desk of OPA would like to thank Mr. Agron Shele, the President of Galaktika Poetike "ATUNIS", for his extreme kindness to put OPA in their website. 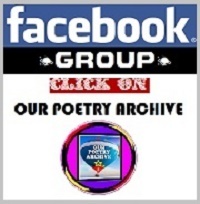 So any reader can visit the monthly issues of Our Poetry Archive directly even from their website, and Vis-à-vis. This month we are presenting poetess Leyla Isik of Turkey as the “Poet of the Month”. Readers can read an overwhelming interview with her along with her poems in this present number. We also remain truly obliged to her for giving an interview with us. Thanks for publishing my poems in OPA. March 2018! All the best to all world poets in OPA!